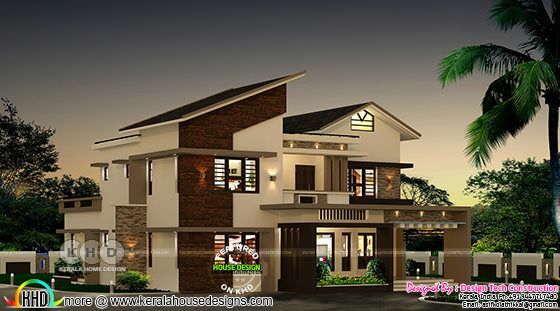 Introducing a new member to KHD viewers, Design Tech Construction from Kerala. Presenting a 2466 square feet (229 square meter) (274 square yard) 4 bedroom modern house plan. Ground floor area : 1624.76 Sq.Ft. Total Area : 2466.08 Sq.Ft. 0 comments on "New home design by Design Tech Construction"